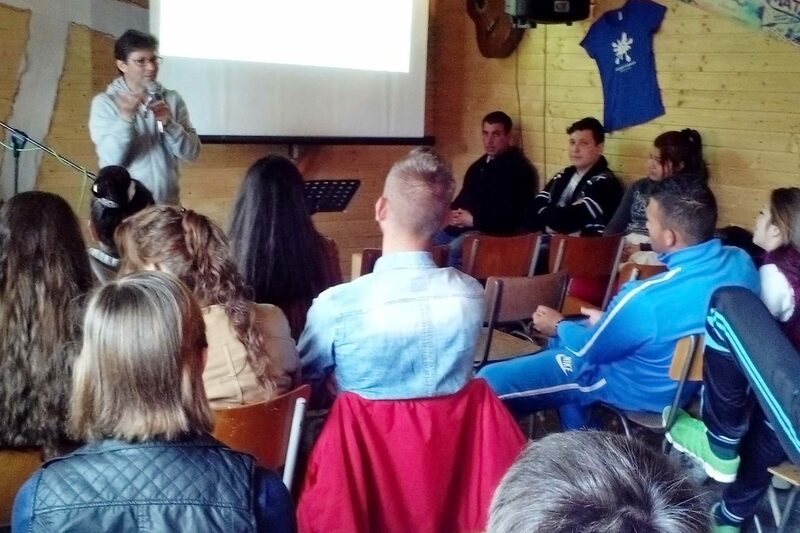 Welcome to pas cu pas (step by step), the teenage group in Floresți. This teen and young people’s group meets once a week and is for ages 15-25. We sing, dance, study the Bible, eat, drink and play games together. The teens are too old for the children’s program and it’s just great that we can offer them something that appeals to their age group and encourages friendship, support in their daily lives and spiritual growth. We’re happy to be able to offer this type of teen program on a weekly basis as it’s such an important and transitional season of life for them. It’s similar to children’s program but on a teenage level. 3 words that describe our teen program are WORSHIP, BIBLE study, and FUN. We encourage respect for one another, not just within the group, but also in the daily lives of the teenagers. It’s our strong desire for these teenagers and young adults to have a strong relationship with Christ and out of that, a healthy self-image. Thankfully, we’re already seeing good change. For example, fewer teenaged pregnancies! This is such a hopeful thing to see as we work to help mend generational brokenness among the families of these teens. For the last few years, we’ve organized a camp for the teens, along with a youth group from Haarlem (Holland). It’s a unique experience for the local teens and the group from Haarlem to have a week long encounter together of Bible study, songs and some great sports activities. We think of it is a week together with each other and with God.